MIRI: It is most deserving of Tan Sri Richard Malanjum to be appointed as the new Chief Justice of Malaysia, said state Pakatan Harapan (PH) secretary Alan Ling. Declaring that “every cloud has a silver lining” when Malanjum, the most senior on the bench, finally got his well-deserved promotion as the Chief Judge of the country, he said this is the way forward for Malaysia as it places seniority, experience and capability in the appointment to the highest post in the judiciary in the country. Malanjum was sworn in as the new Chief Justice (CJ) of Malaysia on Wednesday (July 11). He is the former Chief Judge of Sabah and Sarawak and replaces Tun Md Raus Sharif who will resign as the Chief Justice effective July 31. Ling said no one would have taught an East Malaysian would be the top judge of the country, “what more to say a native from Sabah, but after all it is one’s capability and performances that count”. nation, regardless of race and religion. managing the country’s welfare,” he stressed. 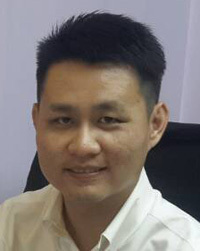 Ling, who is also a practising lawyer in both Sarawak and Peninsular Malaysia, is confident that Malanjum will be making some key reforms for the good of the judiciary and hopes that the CJ will continue to be open to inputs and ideas from the legal practitioners and other stakeholders. Ling, who had been calling for Malanjum to be made the Chief Judge, gave credit to the latter for implementing e-filing system and video conferencing in Sabah and Sarawak.